Ooh – great premise re: five crimes committed at once. That is diabolical, indeed! That’s what I thought, a great way for the Flash’s foes to try and outwit him, even he can’t go that fast to stop them all at once! 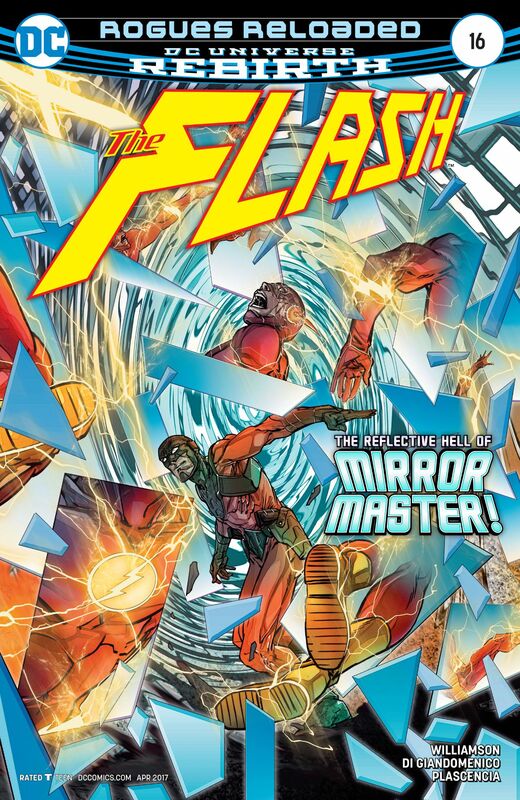 Another great review Paul, I’ve just finished reading volume 1 of this series (collects Flash Rebirth #1 and issues 1-8) and rather enjoyed so plan to pick up vol. 2. I like the fact that it seems to marry the comics with elements of the tv show. Such a good issue. I think this book just keeps getting better and better all the time. Good morning Paul! I have nominated you for the Mystery Blogger Award. Please get the detail is in the link I have included. Have an out of this world day! !